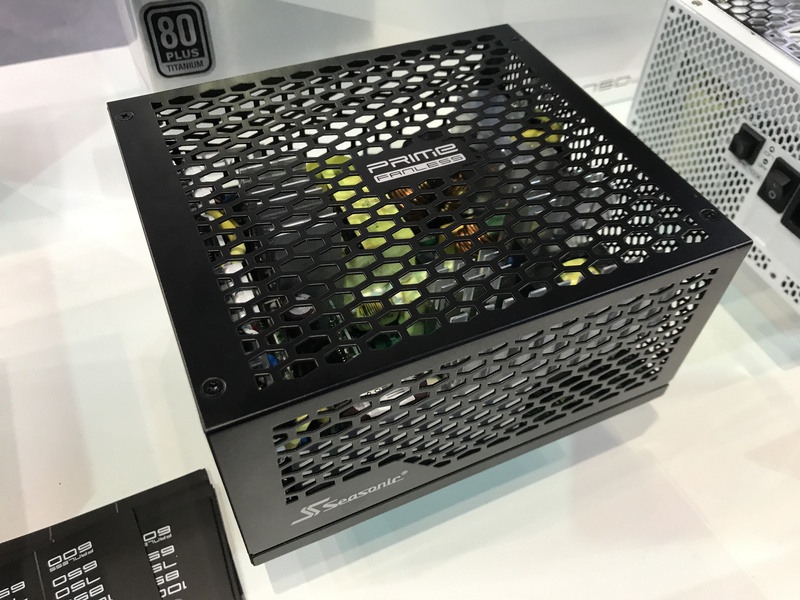 Earlier this year Seasonic launched its PRIME Titanium family of 80Plus Titanium-certified power supplies, which consisted of three models ranging from 650W to 850W. Meanwhile at this year's Computex, the company showcased its expanded PRIME family with two new models carrying the same 80Plus Titanium badge: one is a 600 W fanless PSU and another is a 1000 W model for high-end machines. The latter recently became available in the U.S., whereas the former yet has to reach the shelves. 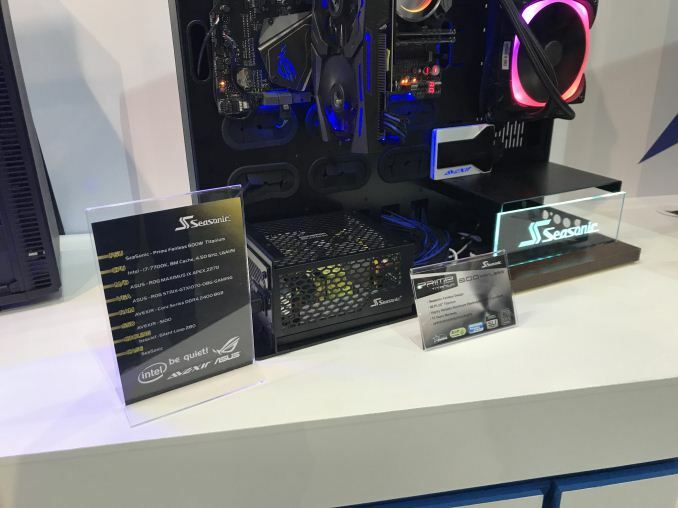 Aimed at the market for ultra-efficient whisper-quiet systems, the Seasonic PRIME Fanless Titanium (SSR-600TL) power supply is rated for 600 W, complies with the ATX 12V v2.4 as well as EPS (presumably v2.92) specifications, and is equipped with two 4+4 CPU power connectors for 2P systems. Like many other high-end PSUs, the PRIME Fanless 600 W Titanium is modular and comes with flat cables. Speaking of modularity and cables, the Seasonic SSR-600TL has the same connectors as its slightly more powerful SSR-650TD brother, but located a bit differently. Meanwhile, the internal design of the fanless PSU looks like it has remained the same as that of the SSR-650TD (as best as I can tell seeing through the grill) but Seasonic had to install larger radiators to ensure more efficient passive cooling of the components that produce significant heat. 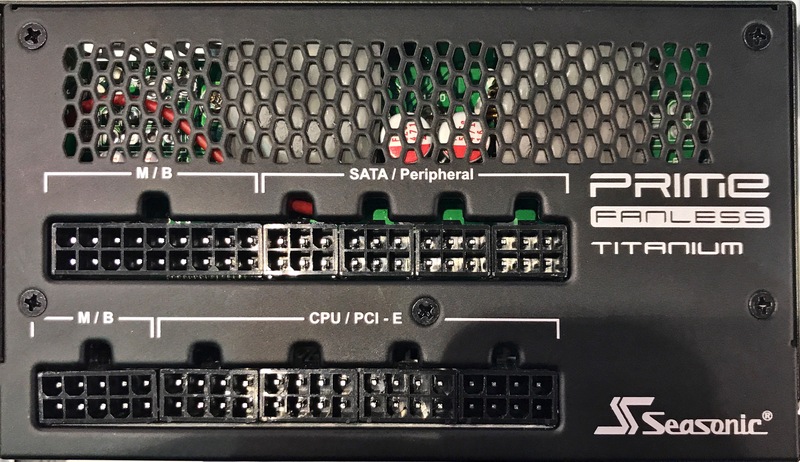 As for connectivity in general, the PRIME Fanless 600 W Titanium has two 6+2-pin PCIe power connectors for graphics cards, six SATA power plugs, five Molex headers, and one Floppy connector. At the show, the Sesonic the PRIME Fanless 600 W Titanium powered a gaming system featuring Intel’s Core i7-7700K CPU, ASUS’ ROG Maximus IX Apex Z270 motherboard, as well as an ASUS ROG Strix GTX 1070 8 GB graphics card. While many enthusiasts these days are inclined to buy PSUs with wattage of 700 and beyond, 600 W is more than enough for mainstream gaming systems featuring similar configurations. 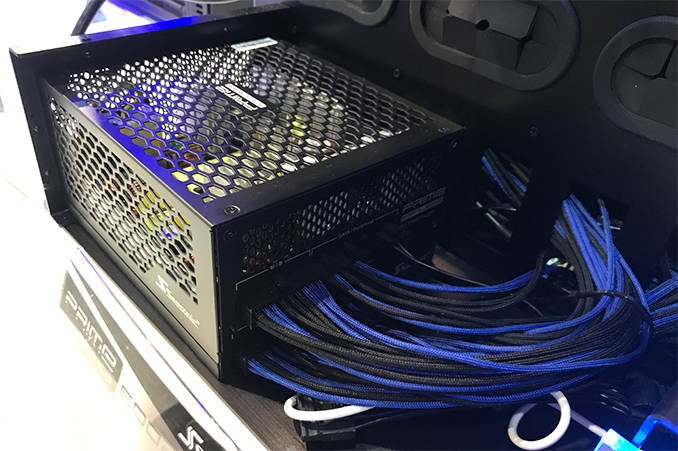 Keeping in mind that Seasonic’s SSR-600TL is covered by the company’s 12-year warranty (just like other PRIME Titanium PSUs), it is evident that the power supply can handle high loads for prolonged amounts of time. The Seasonic PRIME Fanless Titanium 600 W PSU is currently available in a few stores in Europe for €224 – €275 (according to Geizhals.at), depending on retailer and country. Apparently, one of the best fanless PSUs around is hard to get even despite its premium pricing and the fact that it is in mass production. This. Also hoping they can be mounted in different orientations besides only facing up. Alternative case layouts (like Silverstone uses often) has the PSU in different mounting positions than just the bottom/back of the case. See TJ08-E or FT02.